Is 2013 the Year for the Real Estate Industry Comeback? Find Out! Can the Real Estate Industry Ever Be as Good as it was Before 2008? The economy still has a long way until full recovery after the burst of the housing bubble. 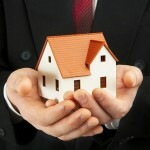 The real estate industry has seen some tough times in the last few years, and has only recently started to recover. Economists say that 2013 will be the year when the real estate industry will finally get back on the right path and see some noticeable growth. Economists also mentioned that the real estate industry comeback will be the main factor that will generate the economic growth in 2013. In the last months of 2012, the housing market started to become a sellers’ market, with home inventories low and higher home prices. Banks that have lots of distressed homes are holding on to them, planning on selling them when prices increase even more. Unfortunately, the most important thing that the real estate industry needs in order to stimulate the economy is inventory. Another factor that influenced the real estate industry lately is the job market growth. Unemployment is still high around the United States, but the job market is definitely recovering. The lack of inventory is also affecting people who need to move in order to be closer to their job, but analysts hope that this surge of jobs will eventually help residential real estate recover and start growing more rapidly. With interest rates at historic lows right now, and are expected to remain low in 2013 unless the job market sees dramatic improvement. While lenders are starting to ease up on qualification requirements, many home buyers still find it difficult to get approved for a mortgage loan. The multi-family market has been experiencing a great recovery in the past months, and this trend is expected to follow in 2013. Low interest rates and more lenient restrictions have made apartments attractive for buyers, while the limited home inventory has attracted more investors in this market. The single-family housing market has transformed from a buyers’ market into a sellers’ market and will most likely continue to remain this way in 2013. Without single-family home inventories, the real estate industry won’t be able to stimulate the recovering economy to its full potential. The office space market started to recover, as well, and it’s predicted that it will grow even more in 2013. Unfortunately, the job market isn’t growing fast enough to cause a big increase in the office space market, but will regain more stability in 2013. The industrial real estate market might see an increase in leasing, but a decrease in sales in 2013. Depending on the area, there are places where the industrial real estate market will grow, but also places where it will stagnate or even deteriorate, as it is closely tied to employment. Whether 2013 will be the year when the real industry makes a comeback or not, one thing is for sure: the industry is recovering. The recovery might not come overnight, but, as long as industries that are closely related to real estate make a comeback, so will the real estate industry.